Yesterday when hubby got home our plans for the night somehow changed. The plan was to go to the school Fall Carnival. My friends had helped plan it and I wanted to go support them and their efforts. Hubby wanted to take a trip to the city.....we live in a small town remember. No Target!!! So we packed up the kids and went for family date night. We went to Durangos and then to a movie. Ever since the kids and I saw Planes Fire and Rescue we have want to see Big Hero 6. So glad we were able to go. It did not disappoint. It was so cute. It was the first movie in a long time that the hubby actually said was good. That is a lot people. Shawn sat through the whole thing. Cried when we had to leave!!! The story is so cute. 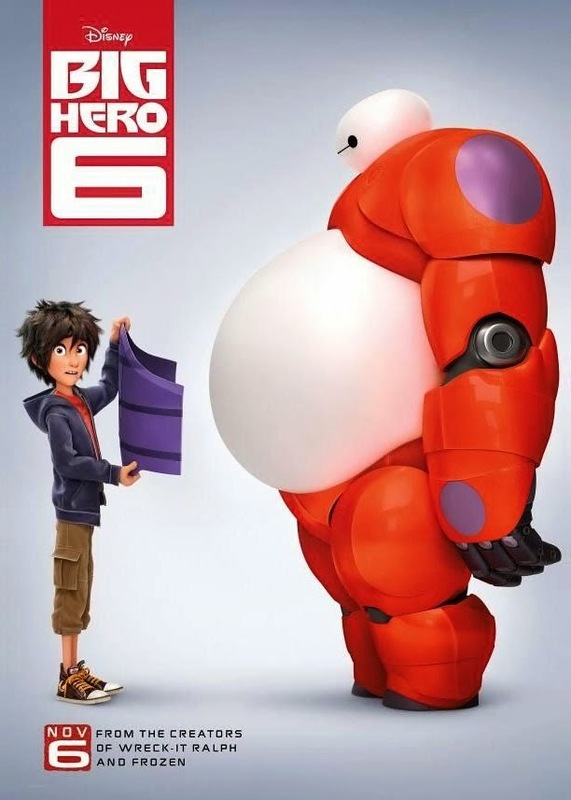 I love BayMax and Hero.